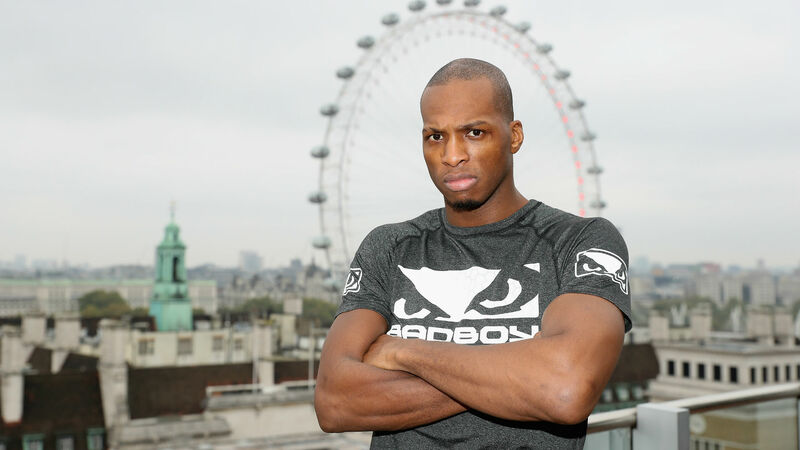 Michael “Venom” Page fighting a professional boxing match three weeks after decimating David Rickels in Bellator 200 should have told you how serious he is about segueing back and forth between MMA and the sweet science. But just in case combat sports fans still aren’t clear, MVP reiterated those intentions Tuesday, while appearing in a New York City press conference to announce the launch of DAZN’s streaming service in the U.S. Page wants to get to a point where he’s regularly alternating between MMA and boxing soon and over the duration of his career. Page, 31, has cruised to victories in his two pro boxing bouts: first scoring a third-round TKO over Jonathan Castanoin October 2017, before recording a second-round KO of Michael Ciach on June 15 both in his native London. But Page says he has been lobbying for boxing fights for years and that “nobody’s interested.” And he understands why. For starters, fighting Page presents a lose-lose type of situation for a top boxer. If he defeats Page, critics and fans alike would simply reason that said boxer was supposed to beat an MMA fighter in the ring. If he loses to Page, though, his boxing career would seemingly never be the same. “It’s an unnecessary risk for them,” Page admitted about boxers agreeing to fight him in the ring. But there’s another factor that have boxers probably thinking twice before signing on to throw hands with Page — his unorthodox style. Against Rickels in May, Page did everything from a Harlem Shake to completely dropping his hands and getting low in a taunting stance right out of Street Fighter. And he pulled off much of the same antics boxing against Ciach in June, lulling his opponent in, before connecting on calculated strikes. So, how does Page plan to combat these factors in order to establish himself as a legitimate contender in boxing? Well, his plan is simple — keep dominating in Bellator MMA, while making the most of each and every boxing match until boxers can’t deny him an opportunity any longer. In that regard, Page’s wildly-entertaining style and growing popularity should certainly help. His in-cage hijinks during the Rickels fight helped him go viral to the point where 50 Cent, who was in attendance for Bellator 200 at The SSE Arena, Wembley, dedicated multiple Instagram posts to MVP. Coincidentally, Page told Sporting News that he and 50 shared the same flight to NYC this week and that the rap mogul vowed to link up with him. Page admits that his in-fight antics are part diversion tactics, part opportunistic via embarrassment, but all measured. When it comes to a boxer with an unorthodox style that Page appreciates, only one name comes to his mind. Whether MVP can legitimize his name in boxing remains to be seen. Until then, Page will participate in the Bellator’s welterweight grand prix tournament, which begins on September 29.